Unless businesses plan to deploy larger numbers of tablets, they should avoid moving directly from Microsoft Windows XP to Windows 8. With support for Windows XP due to end in April 2014, many organisations face the task of migrating to a newer platform. But Gartner has urged CIOs to move to Windows 7, rather than attempt to migrate directly to Windows 8. Gartner distinguished analyst Michael Silver said: “I don’t think it’s worth the risk for most organisations to try to jump over Windows 7 to Windows 8, except potentially for tablets. 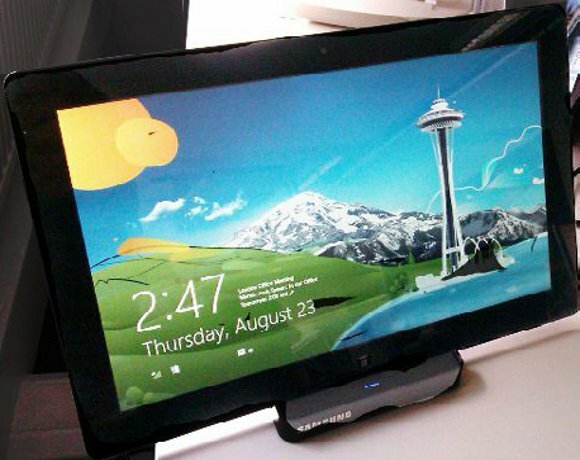 Gartner does see an opportunity to deploy Windows 8 to pacify users who want to use tablet devices such as the iPad and Samsung Note for work. In its Windows 8 special report, Gartner noted: “For many organisations, especially ones that pay for both notebooks and tablets for users, the Intel-based Windows 8 tablet may be attractive as a single device to replace both a notebook and a tablet at a lower overall cost. Gartner said that if Windows 8 on tablets is successful, there will be many new device form factors to choose from and users may have very different needs and likes from one another. Gartner said it expects some users will still want to use an iPad and a traditional notebook, while others may want to trial different devices according to the job at hand. Windows 8 will enable IT departments to support new types of devices such as the recently announced Dell Latitude 10 tablet, allowing them to provide traditional desktop IT on these devices. But Gartner warned that, as users gain more power with the tide of consumerisation, IT would be less able to mandate that certain products be used or not used in their environment. “This makes it harder for IT to buy and support PCs the way they have for the past 20 years and may lead to more bring your own device (BYOD) programmes,” Gartner said.